Mazda's new combustion engine, a compression ignition diesel, increases efficiency and reduces pollution. It is the first move away from gas engines. After years of research, world renowned Japanese automaker Mazda Motor Corp claimed that they had finally developed the technology that will make diesel engines more fuel efficient. On Tuesday, the company announced that it had solved the problem that most automakers had spent years to figure out: how to make diesel engines more fuel efficient while eliminating all the dirty emissions that gave people the wrong impression of diesel engines. While diesel engines provide better fuel economy than gasoline engines, they are highly unpopular in Europe and the United States because of the pollution they produce. In what appears like a backward move from Mazda, the company’s newest compression ignition gasoline engine was still deemed as a major breakthrough which places traditional engines at the heart of Mazda’s manufacturing strategy. Dubbed as SkyActiv-X, Mazda’s newest engine is said to boast of efficiency. The automaker claimed that the compression ignition engine is 20 to 30 percent more efficient than Mazda’s current SkyActiv-G engines. The announcement of SkyActiv-X comes just a few days after Mazda said it would work with Toyota Motor Corp to develop electric cars and build a $1.6 billion USD assembly plant in the United States. 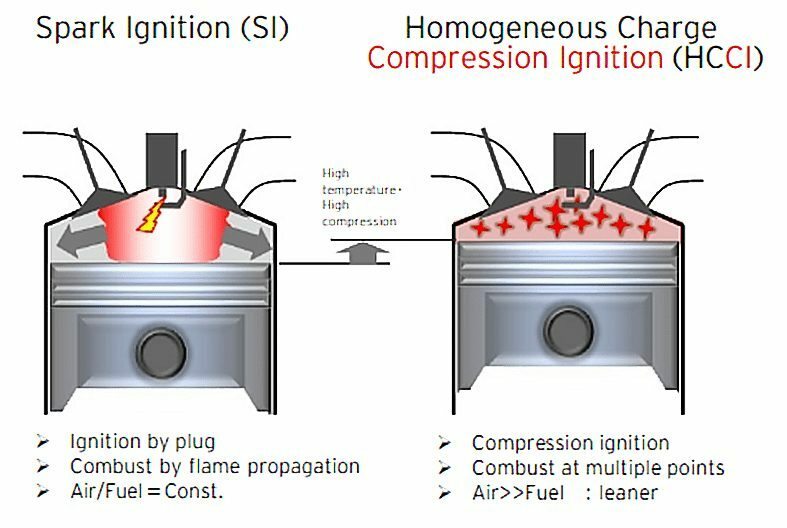 The setup works by using a homogeneous charge compression ignition (HCCI) engine which ignites the petrol through compression. Meaning, spark plugs will no longer be needed. However, Mazda said that they have not completely abandoned the spark plug technology. 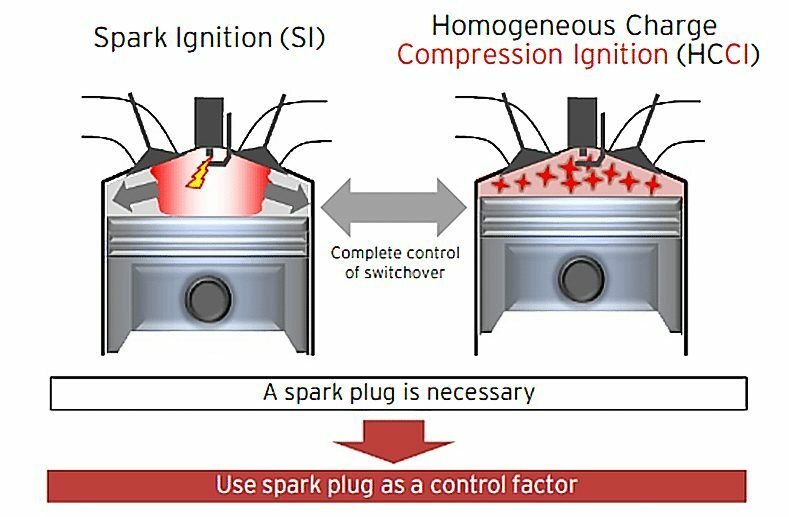 The SkyActiv-X will only be equipped with a ‘spark controlled compression ignition’ which will enable the engine to use spark plugs when needed, like when the engine is cold. 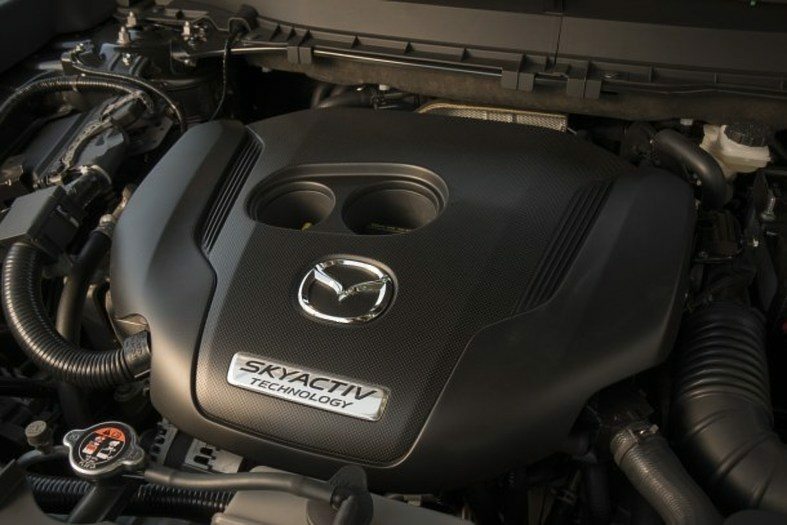 Apparently, the SkyActiv-X fuel economy will potentially match that of a diesel engine minus high emissions of nitrogen oxides or sooty particulates. Mazda has not divulged the full details of how they were able to crack the issue, but experts believe that computers hold the key. Mazda also affirmed its plans of pursuing the production of electric cars come 2019. Aside from the SkyActiv-X, the company also aims to make autonomous-driving technology standard in all of its models by 2025. Mazda cars powered by the SkyActiv-X engines are expected to hit the market in 2019. Do you think that Mazda is making a wise move by focusing on traditional engines instead of electric powered vehicles? Let us know in the comment section below!